If you follow me on Twitter you may have seen that I have now finished my uni work! I handed my thesis in on Monday so now all I have to do is wait for the result and I can finally throw myself back into blogging. A couple of weeks ago in the #bbloggers chat I commented that I may have found a miracle eye cream and my Twitter then went crazy with people wanting to know what it was. So for my first post uni work post I thought I'd write about the eye cream in question. ESPA recently offered samples of their ProSerum and when I received mine I was delighted to find a £30 gift card in the parcel. So I headed to the website to have a look at their products to see what I fancied trying. I chose a product (the Calm and Soothe mask) and headed to the checkout. Postage on the ESPA website is £4, which is a little bit pricey for my liking but I can't really complain as I was getting my product for free! Then I spotted that you can also get 4 samples with every order, which made me feel a bit better about the postage. I chose my samples and completed my order. My dark circles are industrial strength, they never seem to improve no matter how much sleep I get (I could sleep for a week and they'd still be there!) so I never expect any eye cream to make much of an impression on them. However I recently looked in the mirror and thought, hold on a sec, what's happening to my under dark circles? I was surprised to find that without me really noticing they had really improved. 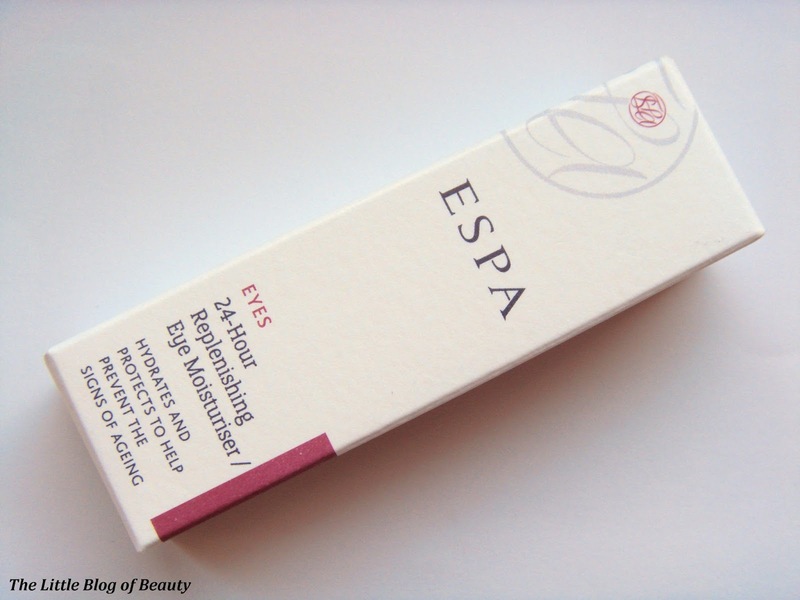 I wasn't sure why and then I realised I'd started using a sample of ESPA's 24 Hour Replenishing eye moisturiser. As I said I never expect much from eye creams so hadn't really thought to check them and hadn't been using it for very long either so I was shocked to find that they have become lighter and are also shrinking. They're still there, but I would say they have significantly improved. I'm afraid to say that ESPA's products are not the cheapest (although not the most expensive either) and the 24 Hour Replenishing eye cream will set you back £35. However, I would say for the little miracle worker that this appears to have been, it may just be worth it. As an eye cream you only have to use the tiniest bit so it should last a reasonable amount of time. Remember I mentioned that pesky £4 delivery charge? Well the good news is that ESPA are currently offering free UK standard delivery, so now may be the perfect time to invest!